Tianjin Key Laboratory of Civil Aircraft Airworthiness and Maintenance, Civil Aviation University of China, Tianjin 300300, China. 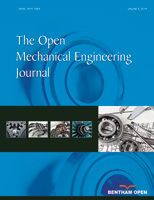 The similarity criteria which ensure the similarity between flow and temperature fields of both the lowtemperature turbine cavity model and the actual high-temperature turbine cavity are derived and then verified using numerical simulation of two different sized rotor-stator system turbine cavities. The analytical solution of threedimensional dimensionless velocity distribution and the numerical solutions of both the three-dimensional dimensionless velocity and temperature distributions of the free disk flow field are obtained. Using these solutions as a foundation, the analytical solutions of the dimensionless temperature distribution within the boundary layer of the isothermal and nonisothermal free disk model are obtained. The numerical and analytical solutions of velocity and temperature are compared to ensure that the solutions are consistent with each other. The analytical solutions of the dimensionless velocity and temperature fields within the laminar boundary layer of the wedge flow are obtained. The approximation solutions of the dimensionless temperature of the wedge flow under subsonic speed and isothermal wall boundary conditions and the dimensionless temperature of the wedge flow under supersonic speed and adiabatic wall boundary conditions are provided. The velocity and temperature distributions of the airflow outside the strut are obtained through numerical simulation and the pattern of changes in the velocity and temperature within the laminar boundary layer of the strut is revealed. Numerical simulation on gas jet cooling and regenerative cooling for the strut are simulated and shown to be effective for thermal protection. Using a strut with rough internal surface and aviation kerosene as the cooling medium is effective at cooling. The experiment fixture used to simulate the outlet temperature of the combustor and the experimental fixture used to simulate the dynamic temperature of the compressor are designed and built. The dynamic temperature of the compressor airflow is measured using combined thermocouples. Experimental results show that the dynamic error caused by the thermal inertia of the thermocouple can be eliminated by the compensation algorithm.